Aside from Gove’s appointment, there have been few surprises in the embattled May’s reshuffle. UK PRIME MINISTER Theresa May has unveiled her full cabinet, making few changes as the premier clings to power after losing her parliamentary majority in a snap election. 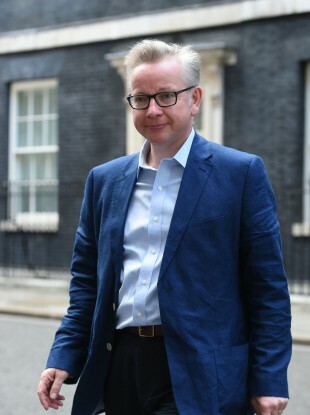 In one of the biggest shocks of the cabinet reshuffle, May named former Conservative leadership hopeful Michael Gove as environment secretary. Gove and May have clashed repeatedly in the past, and many commentators are surprised with the decision. Aside from that, there have been few surprises in the embattled May’s reshuffle. May made Damian Green, former work and pensions secretary, her deputy by naming him first secretary of state. Treasury chief secretary David Gauke moves in to take Green’s place, while the leader of the House of Commons, David Lidington, becomes justice secretary. Lidington’s move sees him replace Liz Truss, who has faced criticism in the justice role and has been moved by May to Gauke’s former post as treasury chief secretary. The minor reshuffle has been seen as a reflection of May’s weak position after she called a snap election, only to lose seats in Thursday’s vote in a dramatic change of fortunes. In announcing the remainder of her cabinet today, May kept Jeremy Hunt on as health secretary despite him being vilified for his handling of the treasured National Health Service. Liam Fox stays on as international trade secretary, a post created in the wake of Britain’s decision last year to leave the European Union as the country searches for new partners outside of the bloc. Downing Street announced on Friday that there would be no reshuffle among the government’s top ministers, including Finance Minister Philip Hammond despite reports ahead of the election that he may be sacked. Boris Johnson stays on as foreign minister, alongside fellow eurosceptic David Davis as Brexit minister. May’s replacement last year as interior minister, Amber Rudd, keeps her post, as does Defence Minister Michael Fallon. Email “Theresa May's longtime rival Michael Gove given cabinet position”. Feedback on “Theresa May's longtime rival Michael Gove given cabinet position”.